Posted in: Losi, Radio Control, Team Losi Racing. Tagged: RC, Upgrades. TLR Tuning Kit: Losi 5IVE-T. Team Losi Racing announced the soon to be released Tuning kit for the Losi 5IVE-T, back in October. At the time, the Kit seemed to offer more questions than answers. TLR has released a video with in-depth explanation/guide of the tuning kit. 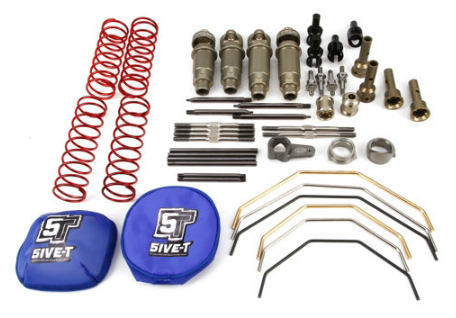 The kit is currently now scheduled for a early December release and could set you back about $549.99. Complete kit details can be found HERE on the TLR Blog. THEY WOULD LOVE THIS SITE. Thank you for the great compliment. My ties to this hobby are family related as well. I have many great memories.